1. 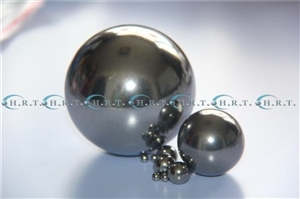 Stainless steel AISI (SUS) 316 balls are used in spray pumps as a one way valve. SS 316 (Chromium 16-18%, Nickel 10-12%) has good corrosion resistance which is essential for personal care products and cosmetics. At times, in detergent pumps, AISI 304 stainless steel ball is used. Depending upon the quality and performance specifications of the overall product. 3.Size: 1.5, 2, 3, 4 and 5 mm or 3/32", 1/8", 5/32" and 3/16 inch diameter balls are generally used. 4. Micro Spray Pump in which these inox or stainless steel balls are used include deodorant spray pump, eau-de-cologne spray pump, viscous liquid spray pump (for liquid soap and detergent), gel pump, toothpaste pump, pocket spray pump, spray pump for metal container (without gas pressure) and insecticide spray pumps.